Negotiation for Project Managers - Something New Everyday! The good news is that by mastering and applying these negotiation skills in day-to-day activities, PMs can ensure progress through even the most difficult of conflicts. Read on to take a look at how to apply negotiation skills effectively from a PM's perspective. 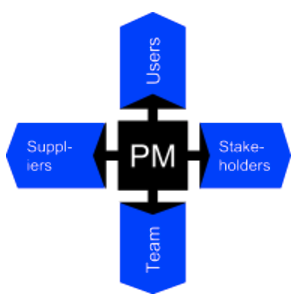 An agreed solution that benefits all parties is also often called a 'win-win' scenario and is the most desirable outcome PMs want from their project negotiations. Discuss: That's where the actual negotiations start. PMs lead the discussion – keep them from digressing off topic. Open negotiations by setting the scene – introduce key issues to discuss. Remember to listen, paraphrase key points to ensure common understanding and keep driving the discussions forward. By now you should have a good sense of how important negotiation skills are for the successful delivery of projects. Effective negotiations could literally turn people in opposition of the change your project delivers to its biggest supporters. They could be the missing link to get those stumbling blocks out of your project's way to success. Take time to prepare well for your negotiations, be reasonable and respectful, listen to others' views and remain focused and calm all the time. A proven ability and a track record to reach 'win-win' solutions – of which there are sometimes many in difficult situations – is a hard sought after skill in Project Managers. I hope these thoughts will help you master this skill. I leave you with a question: Have you faced a situation where it was difficult to make everyone happy, but yet, you were able to carve out a 'win-win' scenario? Reiterating points of common benefit could sometimes help people let go a little to reach an agreement – please share your thoughts. Cheers. Rana Ali Saeed – Rana is a Project Manager and Technology Solutions professional, having served clients in IT, telecommunications and academia sectors for past thirteen years. These years have probably experienced the fastest wave of technological change. The explosion of digital data touched almost every industry and the demand of data speeds grew exponentially. Telcos evolved from 2G to 5G and smartphones became a commodity from once a luxury. Having ridden this wave of change, Rana has a passion for taking on new challenges. He is enthusiastic about Data Science (analytics, visualization, presentation) and currently spends his leisure time as a student of Machine Learning, Deep Learning and Inferential Statistics.